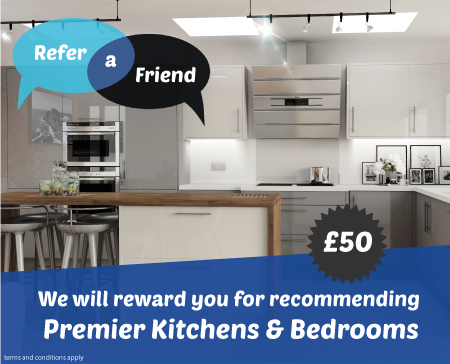 Premier Kitchens & Bedrooms are a local family business, established 26 years, we have installed over 21,000 kitchens and bedrooms in the East of England. Fill out the form below to claim your £50 cash back. Payment will only be made when the recommendation is confirmed as a fully complete and verified order.